For the fourth consecutive year I had to realize the photographic reportage on the Quintana of Foligno, both during the historical parade and for the race. 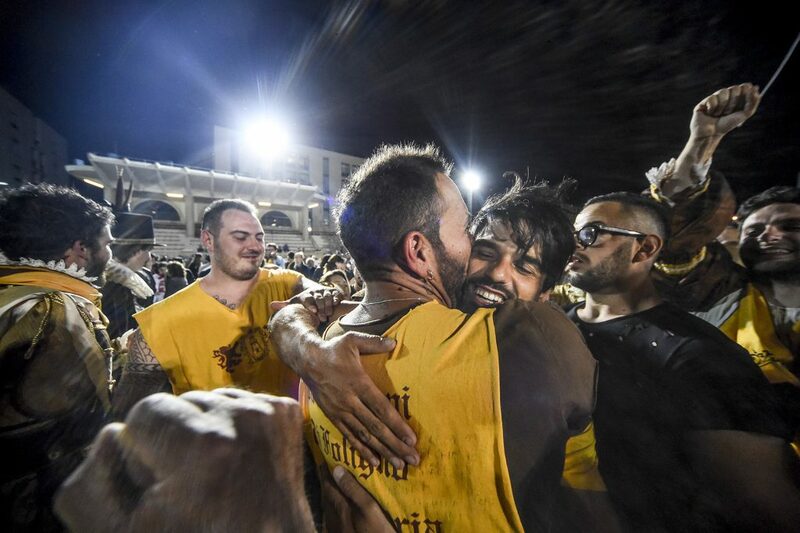 The emotion for a folignate and lover of this re-enactment for me is always very big, the tension of the race itself and the explosion of joy to conquer the palio is something unique that every year touches me deeply. Generally the final moment is what makes me more proud of the work of photojournalist, being able to capture that unique moment of emotion, joy, desperation is something for us photographers extremely fundamental. In the year of the presentation of my report on the Pugilli at the Rione then I had even more pressure on him because everyone started to see my point of view, but this is something that is charging me more and more. Here you can see the whole photos of the historical procession. Here you can see the full photos of the June Challenge.